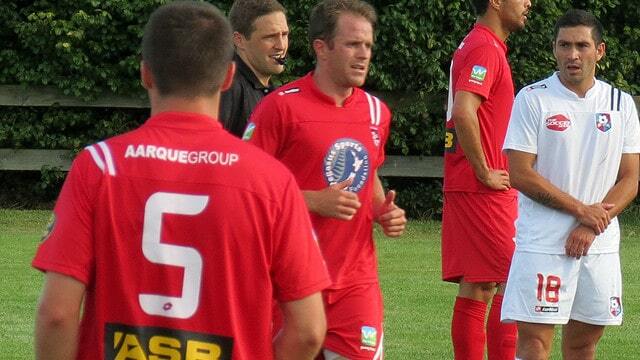 WaiBOP United is pleased to announce that Chad Coombes has signed with the franchise for the ASB Premiership season. The move is something of a homecoming for Coombes (pictured above centre playing for Waitakere United in the ASB Premiership), who was born in Hamilton and learnt his football in the city. He never played for WaiBOP United’s predecessor, Waikato FC, however, as he was snapped up by Auckland City as a young man and went on to become one of the club’s leading players, before making the move across town to Waitakere United. Coombes is glad to be heading home after spending so long away. “I’m really happy to be heading back to the Waikato. It makes for a good story, doesn’t it?” chuckles Coombes. “I’m looking forward to the challenge of playing for a new side, under a new coach and for a new set of fans. Pete [Smith, WaiBOP United Head Coach] has sold me on WaiBOP and I can’t wait to getting started.” WaiBOP United Head Coach, Peter Smith, is naturally delighted to have secured a player with such a pedigree. “I’ve been after Chad for a while so to get his signature now is important for me and for the squad,” said Smith. “It’s a massive coup for WaiBOP United to have a player of Chad’s standing sign on. It’s recognition of what we’re doing here and where this team is heading. Chad is a strong, aggressive leader, a quality player and a top lad. He’ll bring so much to our playing group.” Peter Arndell, WaiBOP Football Federation Chief Executive, says signing a player of Coombes’ ability is a statement of intent for WaiBOP United. “Chad has been a performer in the ASB Premiership for a long time now and his quality is without question,” says Arndell. “The fact that we have been able to attract another local lad back to the region is also important for our brand. With Aaron Scott coming home last season, followed by Chad, it’s now obvious that the best local players have a credible franchise to play for. They no longer have to leave the region.” Coombes has had a storied ASB Premiership career with both Auckland City and Waitakere United. At Auckland City, who he signed for ahead of the season, he won four ASB Premiership titles, three OFC Club Championships and travelled to the FIFA Club World Cup three times. 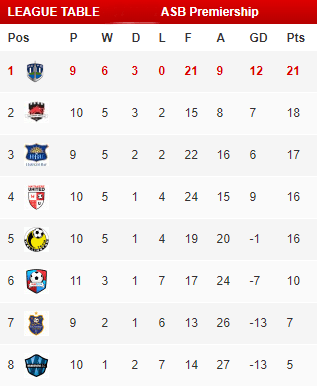 With Waitakere United, where he played the last two seasons, Coombes picked up one further ASB Premiership title. Coombes has also represented New Zealand, playing for the All Whites against Mexico. Announcements on further player signings will follow soon.